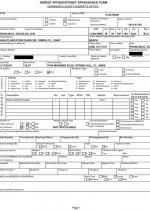 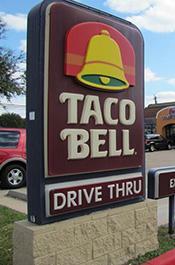 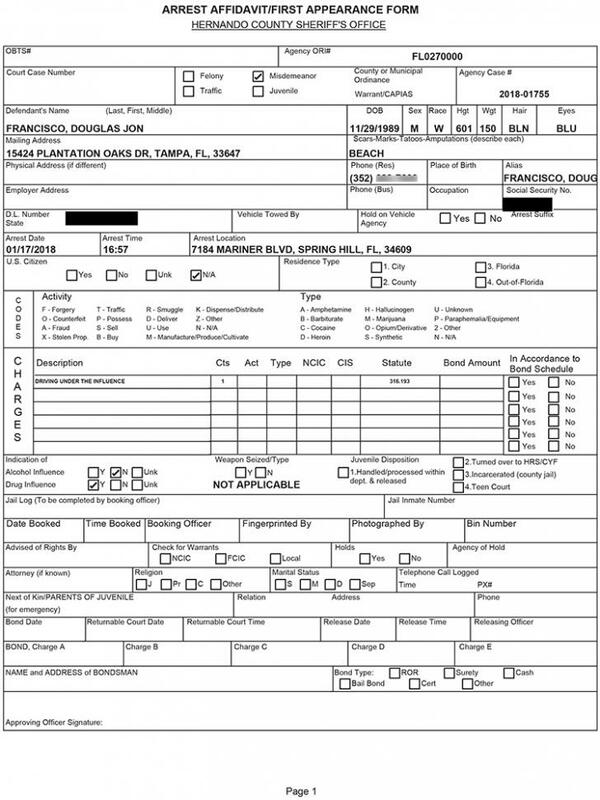 JANUARY 19--A Florida motorist was so impaired that he mistook a Bank of America drive-up lane for a Taco Bell and sought to order a burrito from a teller, according to an arrest report. 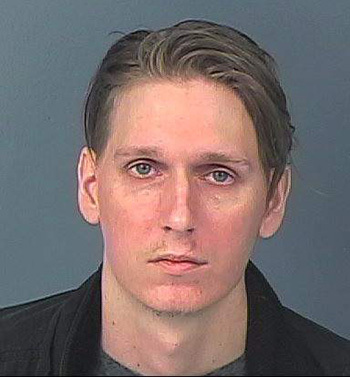 Cops were summoned Wednesday afternoon to a Tampa-area bank “in reference to a suspected impaired driver.” Upon arriving at the Bank of America branch, an investigator found Douglas Francisco, 28, at the wheel of a blue Hyundai in the bank’s parking lot. 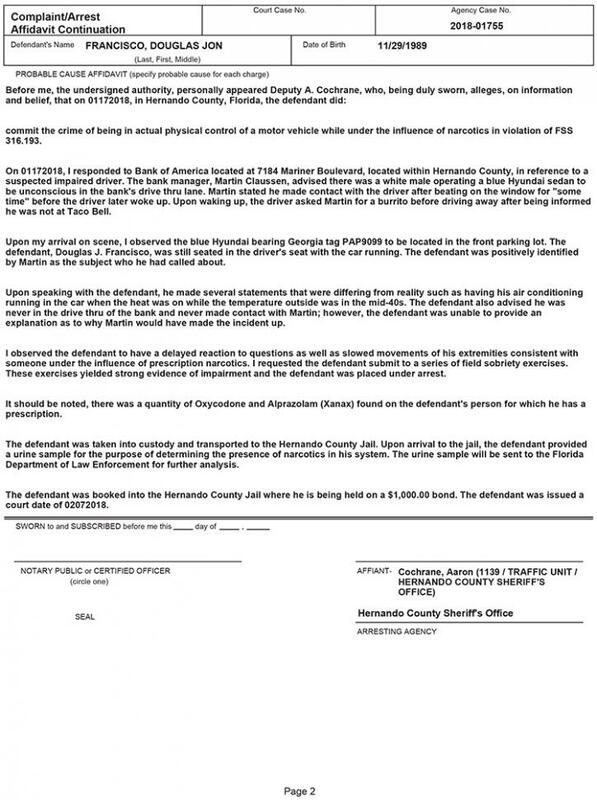 Francisco was arrested after field sobriety tests “yielded strong evidence of impairment.” A search of Francisco turned up Xanax and Oxycodone pills, for which he had a prescription.